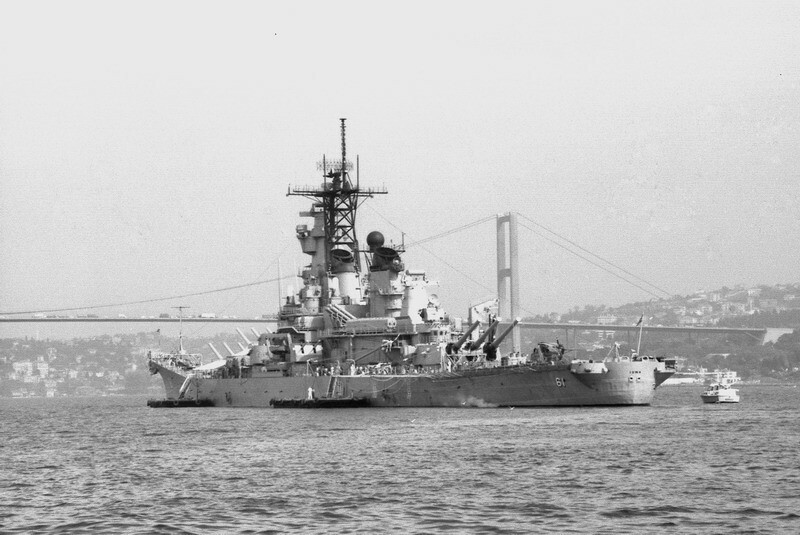 During the ambiguity of the Cold War, the USS IOWA practiced various training exercises and drills before heading to sea to monitor the United States’ southern coastline in case of an attack. In tow from Philadelphia to New Orleans and Avondale shipyard, Inc., for modernization and reactivation. 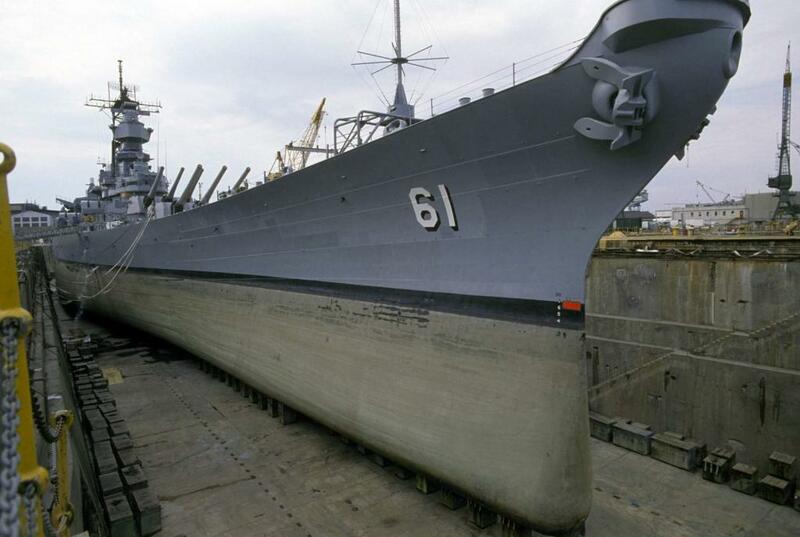 Subsequently towed to Ingalls shipbuilding, Pascagoula, Mississippi for completion of work. Recommissioned ahead of schedule and within budget. Underway to Autec Range for Naval Gunfire Support (NGFS) training. In May, two weeks refresher training at Guantanamo Bay. 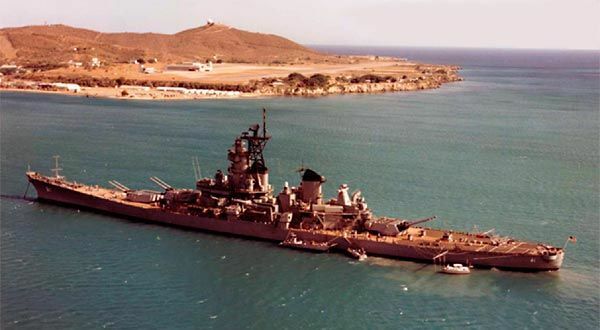 Off Vieques island, Puerto Rico, for NGFS qualifications for IOWA’s 16-inch and 5-inch batteries. 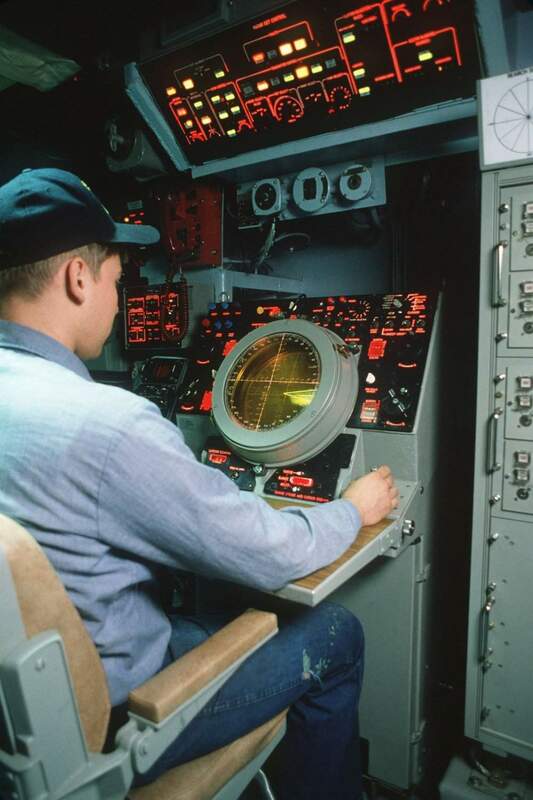 Underway for Caracas, Venezuela conducting a number of systems checks and gunnery exercises en route. 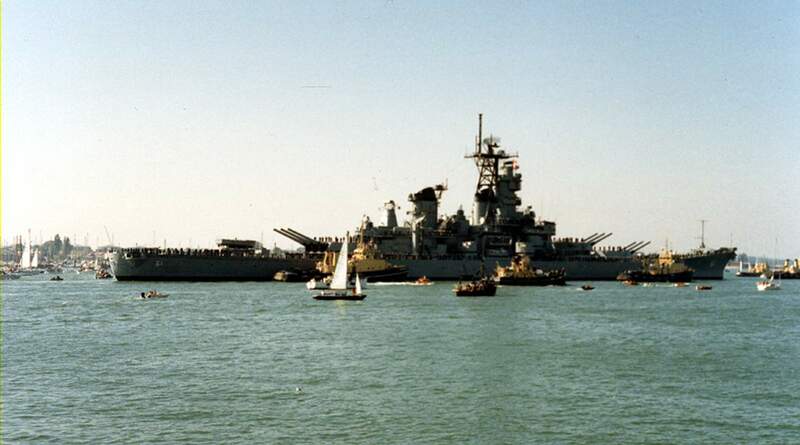 USS IOWA also made stops at ports en route in support of “Naval Presence” operations designed to back-up friendly states in Central America and Caribbean. 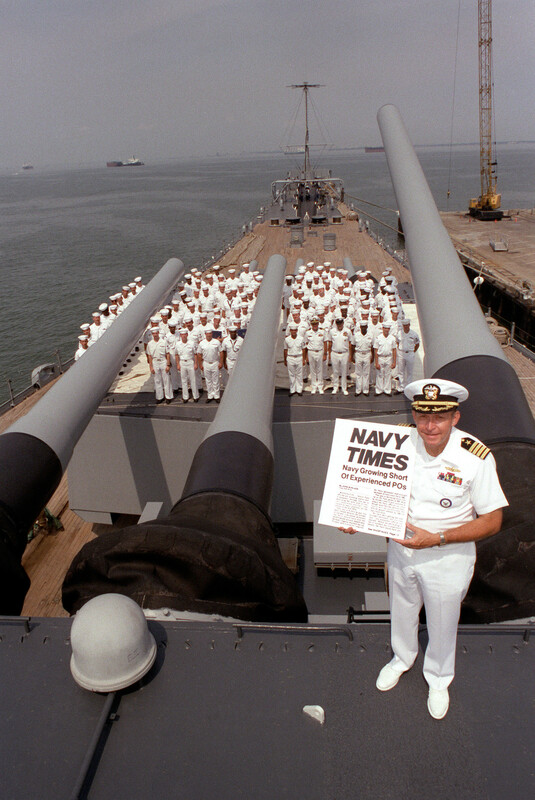 In July, off Vieques Island for gunnery exercises. 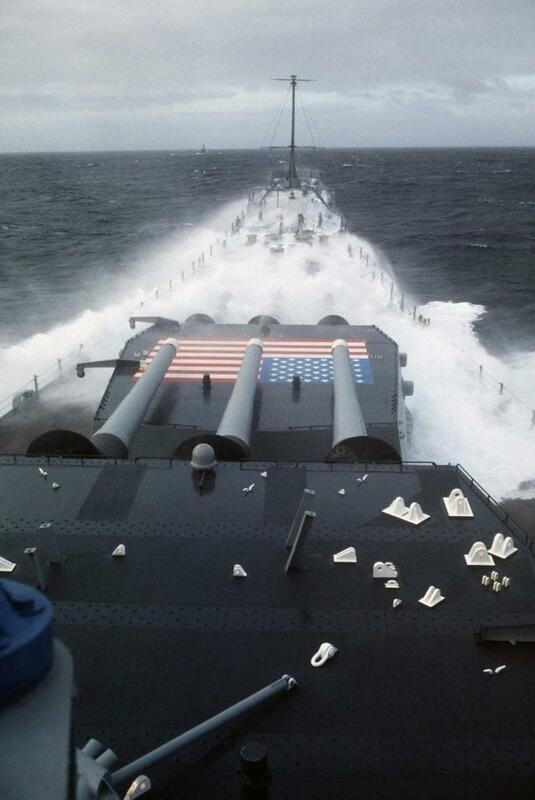 Underway to begin pacific Coast operations. Two US Army UH-1 helicopters from USS IOWA were used when medical and dental assistance was needed in Guatemala. Engaged in surveillance of thirteen miles of Nicaraguan coast in conjunction with embassy contingency communication exercises. 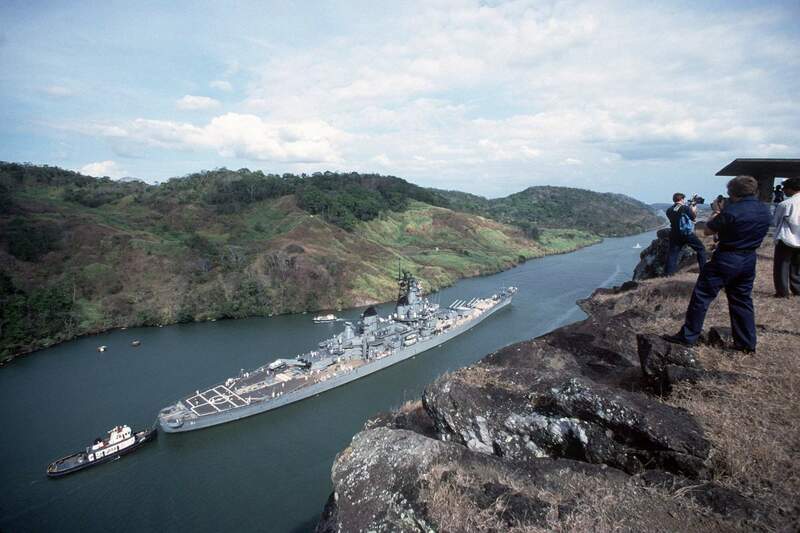 Nicaraguan surveillance completed and USS IOWA returned to Balboa, Panama for trip back through canal. Participated in COMPUTEX 1-85 in Puerto Rican Operations area from November 1 – 20. 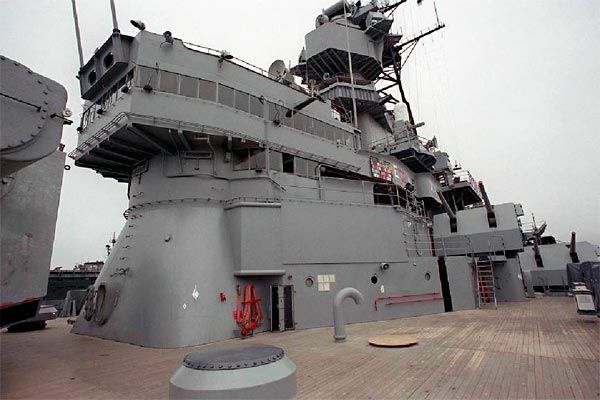 In the month of February, USS Iowa was underway for deployment in Central America. Completed several civic action and humanitarian projects in Costa Rica and Honduras. 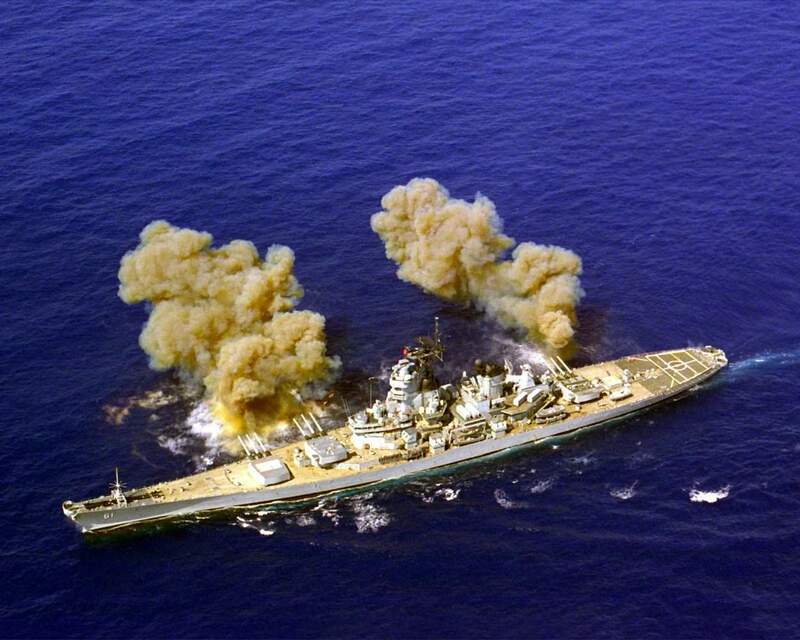 Participated in encounter exercises with Battleship Surface Action Group. In the month of March, she was engaged in Battle Force integrated training and post-shakedown availability training operating out of Norfolk. Off loaded ammunition at Yorktown’s Naval Weapons Station. Into drydock at Norfolk Navy Yard, Portsmouth, Va.
Out of drydock to load gun ammunition while at Whiskey Island Anchorage in Hampton Roads. This was followed by a demonstration of her Tomahawk Handling system, and then ten days of sea trials and ammunition unload at Yorktown. 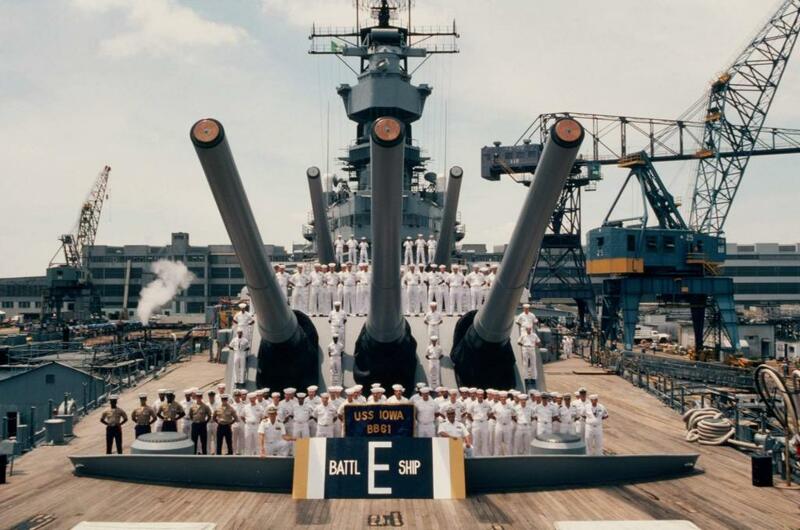 Received Battenburg Cup Award as best all-around ship in Atlantic Fleet for 1984. 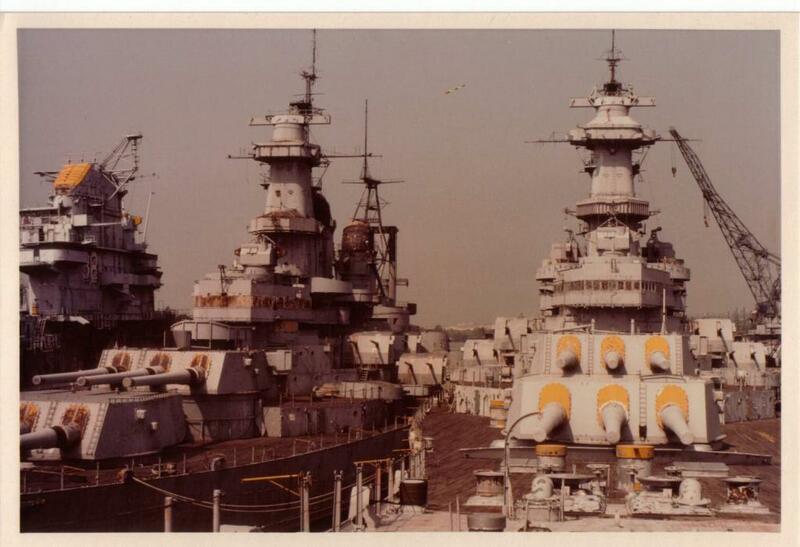 Underway for Ocean Safari as part of Battleship Surface Action Group providing protection for convoy of supply ships en route from Boston to Northern Europe. 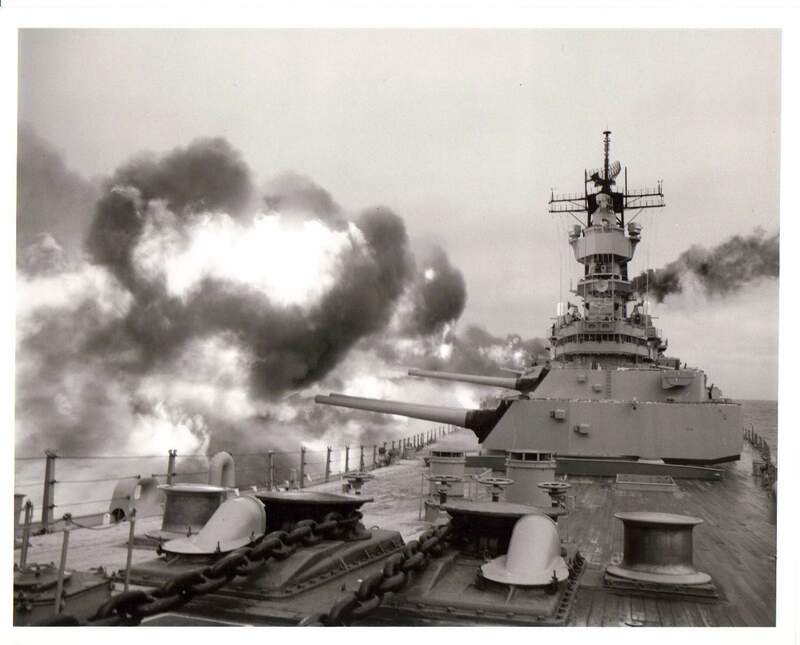 Operation Ocean Safari completed following rendezvous with USS America Battle Group, USS IOWA went on through English Channel to Le Havre, France, then Copenhagen & Aarhus, Denmark and Oslo, Norway. Underway for Baltic Operations (BALTOPS) 85 in Baltic Sea. Part of US Task Unit conducting multilateral exercises with allied vessels in Baltic area. 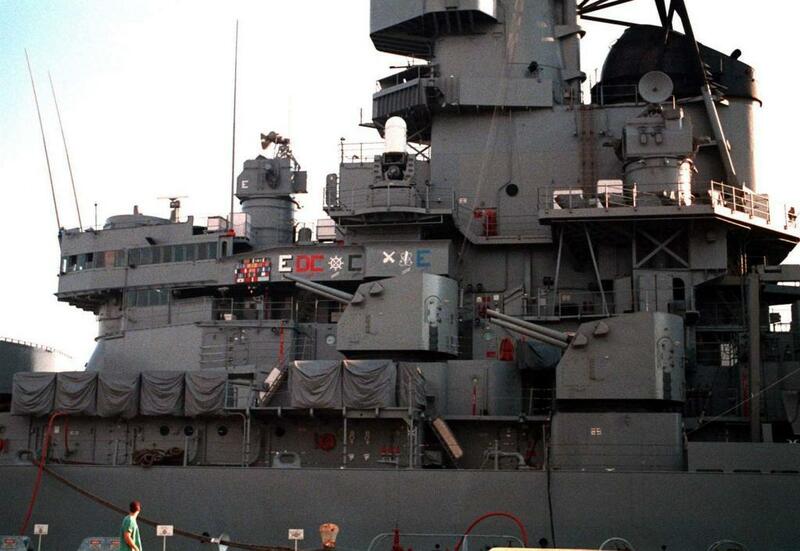 BALTOPS 85 concluded with USS IOWA in port at Kiel, West Germany. Underway for Norfolk, conducting numerous drills/exercises en route. In Norfolk for preparations for INSURV/UMI and final contract trials. In Central America as peaceful presence in support of friendly countries. 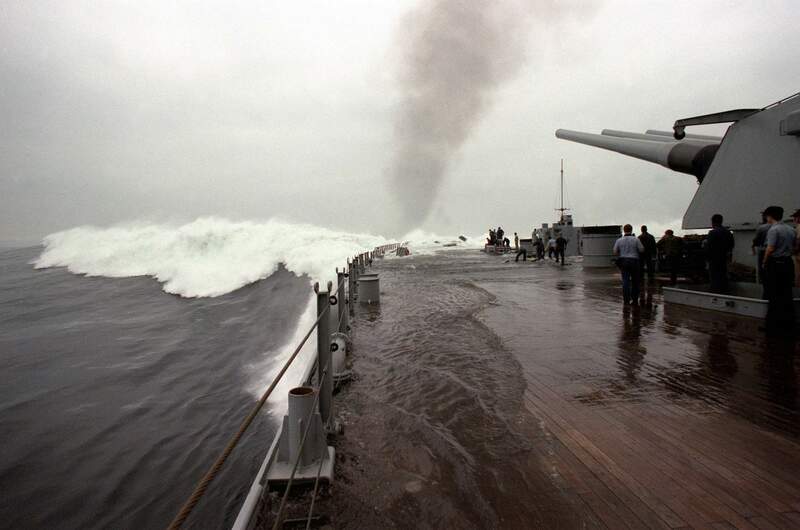 Navy photographers and cameramen film the Iowa (BB-61) from Contractor’s Ridge as the ship passes through the Gaillard Cut during a 12-hour transit of the canal, 24 February 1986. Continued presence in Central American waters. 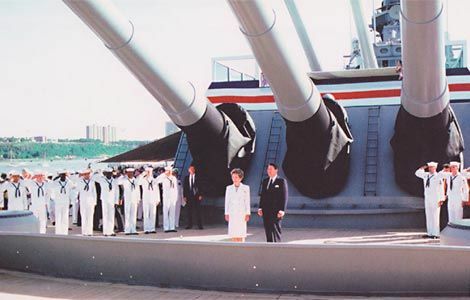 Carried President Ronald Reagan for Liberty Weekend’s International Naval Review in Hudson River. During the month of August, she was underway along Florida coast and in Gulf of Mexico conducting operational and training exercises. Underway for North Atlantic and (NATO) Operation Northern Wedding. 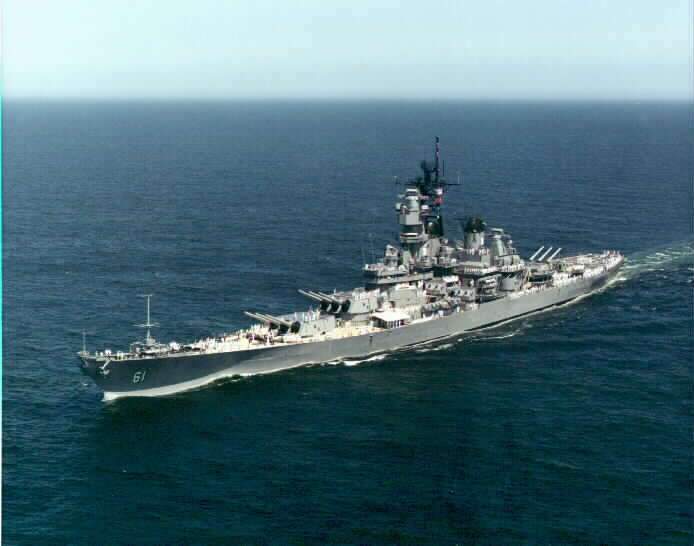 In the month of September, participated in Operation Northern Wedding off southern coast of Norway, Following operations at sea, USS IOWA visited Portsmouth, England and Bremerhaven, West Germany. Underway for return trip to United States. Underway for sea trials off Virginia Capes. 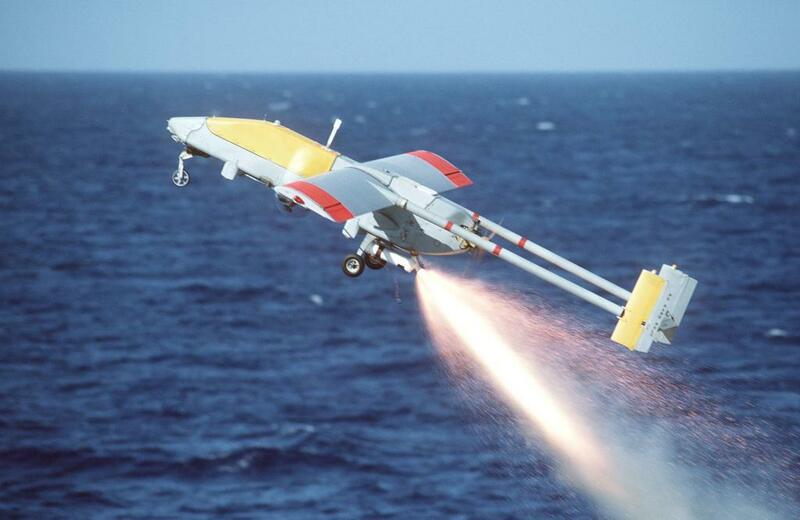 First launch, flight and recovery of a Pioneer RPV were made. 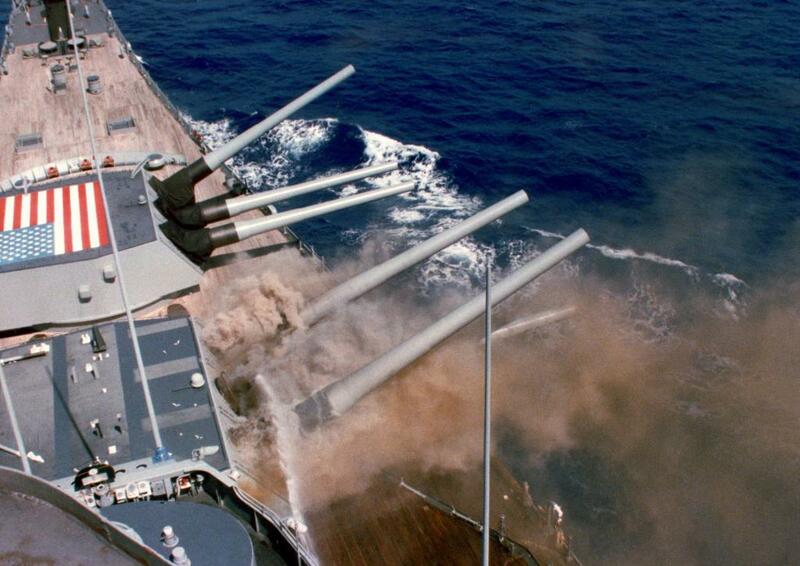 USS IOWA fired 1,000th round of 16-inch ammunition since being recommissioned in 1984. 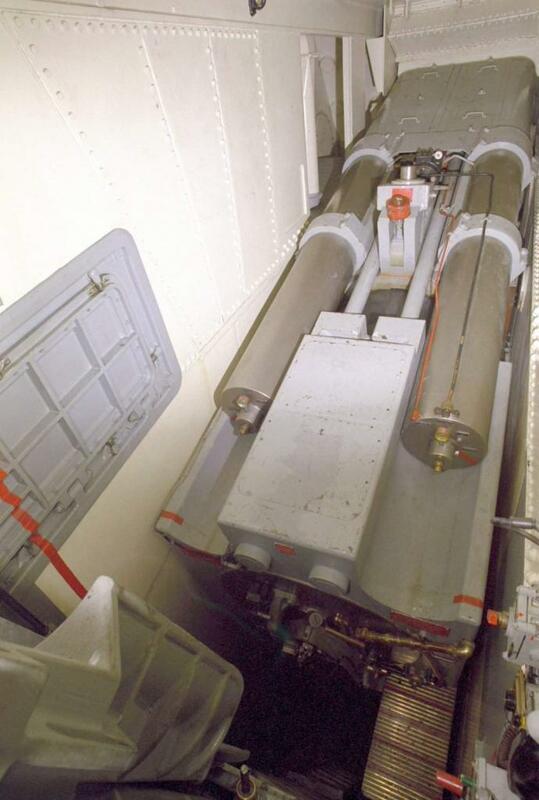 A view of the breach end of the center Mark 7 16-inch/50-caliber gun inside the No. 2 turret aboard the battleship Iowa (BB-61) on 14 December 1986. 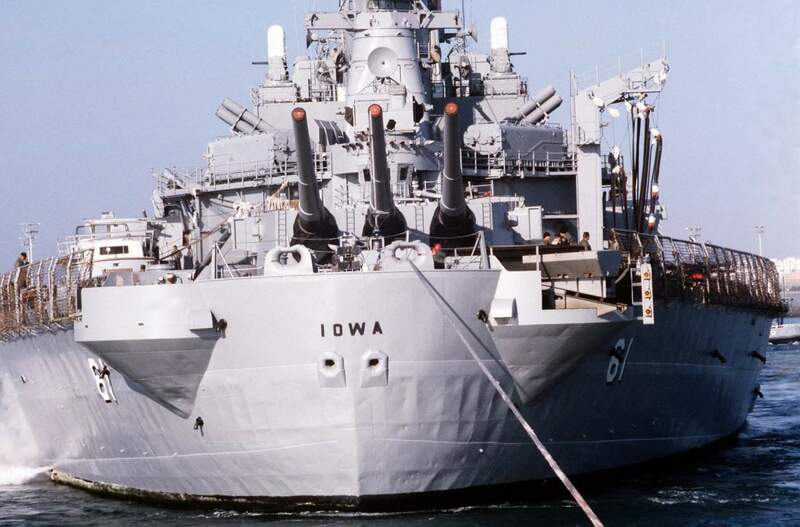 Loaded in the gun is what will be the 1,000th round fired by the Iowa’s 16-inch guns since the ship’s recommissioning. Departed Norfolk en route to Caribbean. Participated in exercise BLASTEX 1-87 in Caribbean. 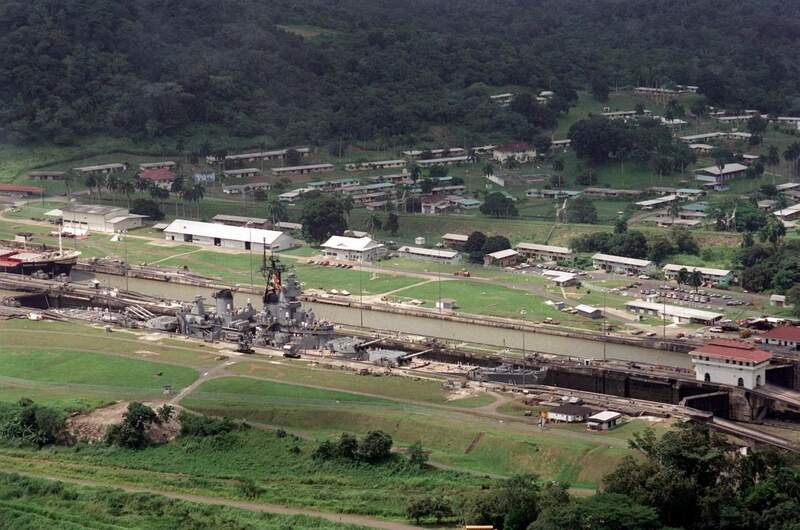 Operations in Caribbean with port visits in Honduras, Columbia and Virgin Islands. Arrived Guantanamo Bay, Cuba for ORI (Operational Readiness Inspection). 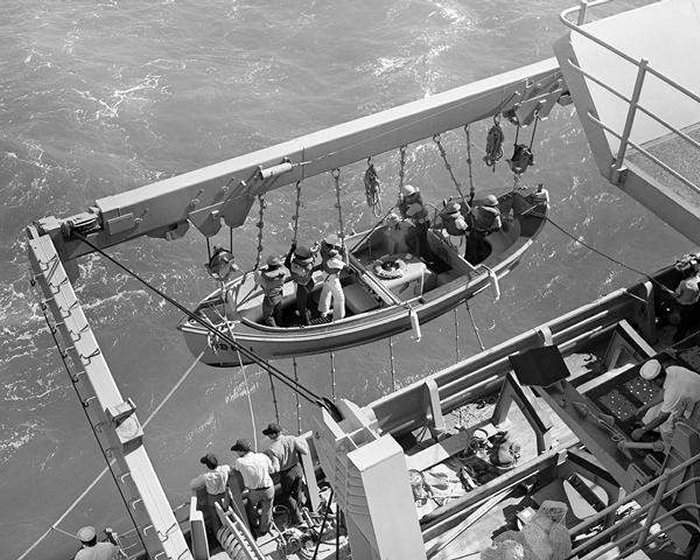 Departed Guantanamo Bay for gunnery exercises at Vieques Island, Puerto Rico. Arrive Yorktown Naval Weapons Center for loading ammunition. Arrive Norfolk. In Service restricted availability (SRA). Arrived Diego Garcia to commence Persian Gulf Presence Operations. 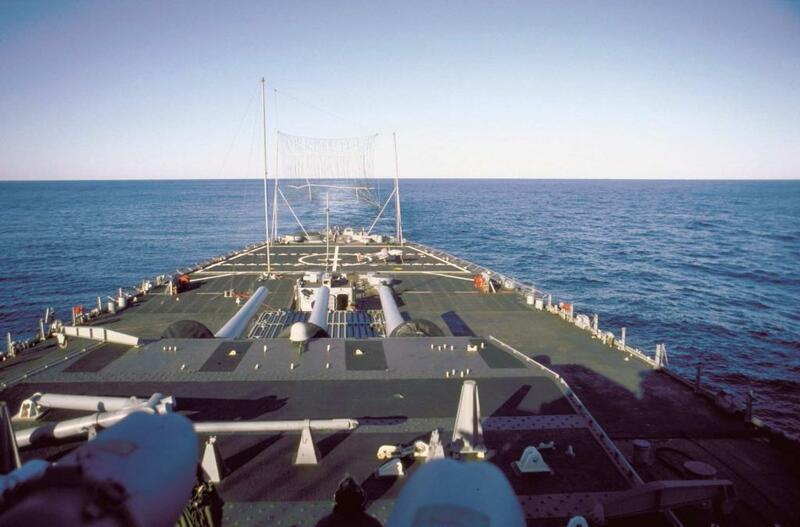 Depart Diego Garcia for operations in the Indian Ocean and North Arabian Sea. 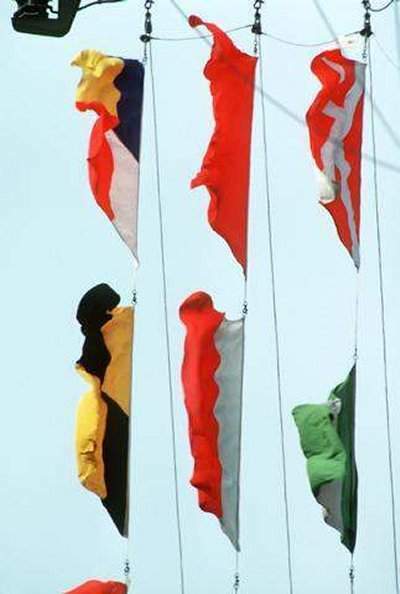 In Gulf of Oman. 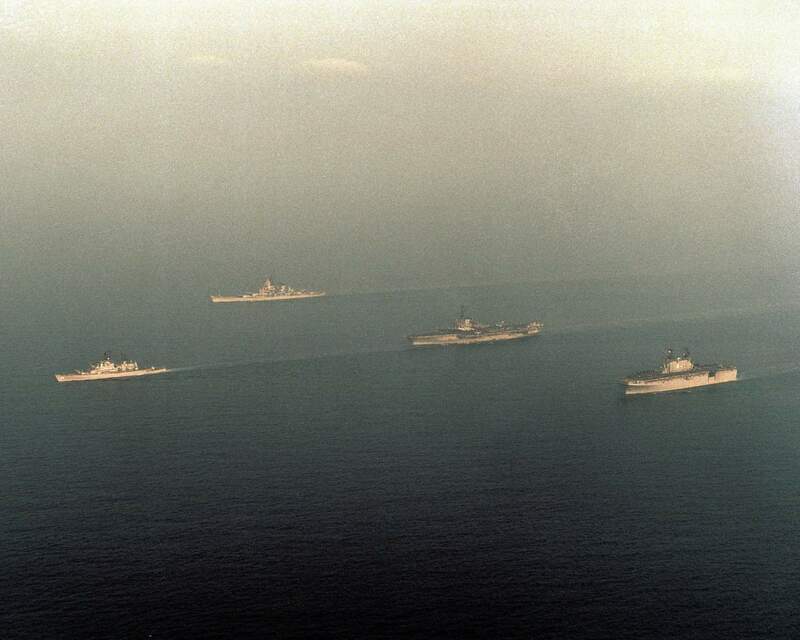 Operations included escorting convoys through the southern Strait of Hormuz and protecting convoy assembly areas off Masirah Island and Muscat, Oman. 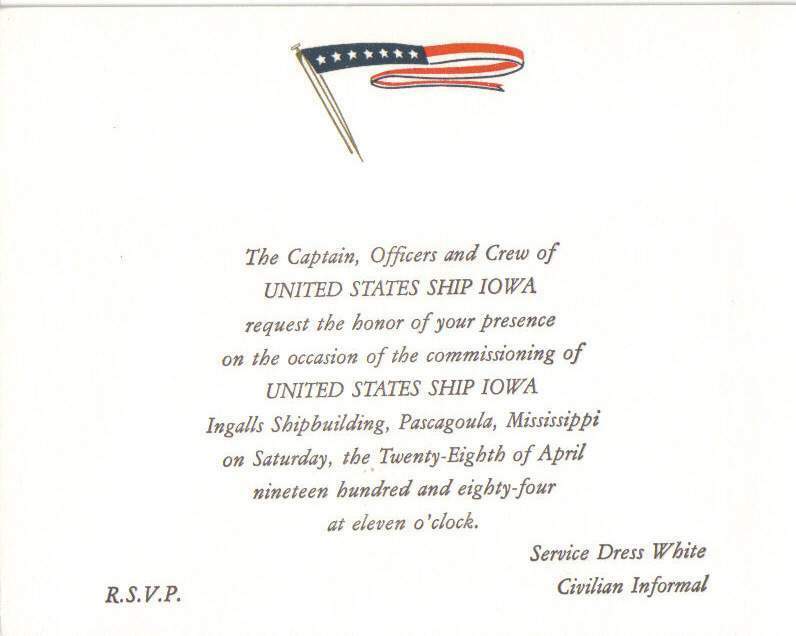 Departed Norfolk en route to New York City to celebrate “Fleet Week” 21-25 of April. En route to Port Everglades, Florida for port visit (9-11 October). Gunnery exercises at Vieques Island. En route St. Martin, operating with units of the standing Naval Forces, Atlantic. 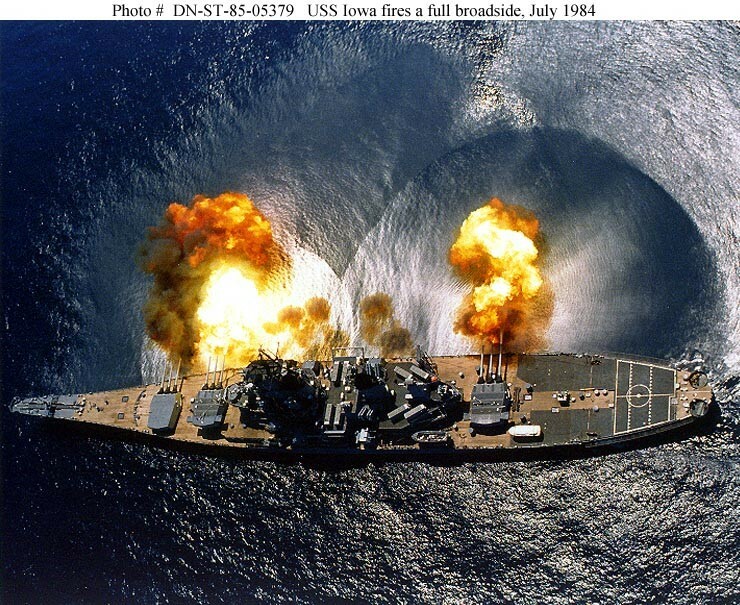 USS IOWA fired the longest 16-inch round in history at Vieques Island. 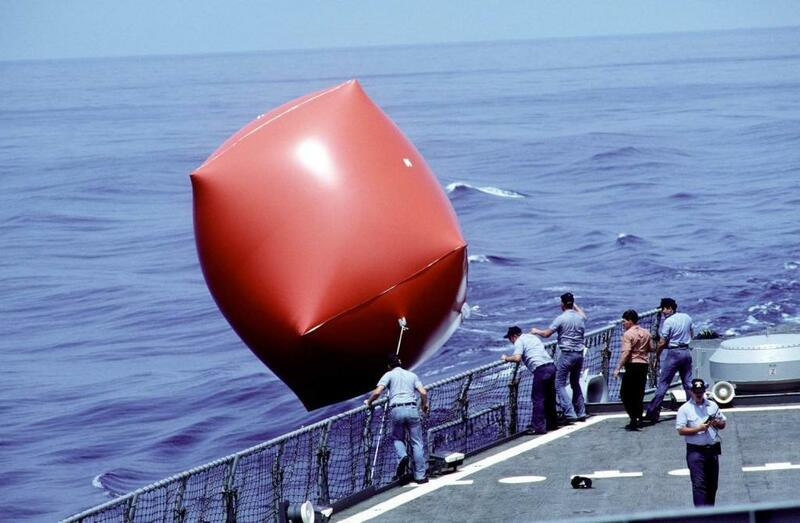 The projectile traveled 23.4 NM for a first round hit on target. En route to New Orleans for port visit (5-9 February). 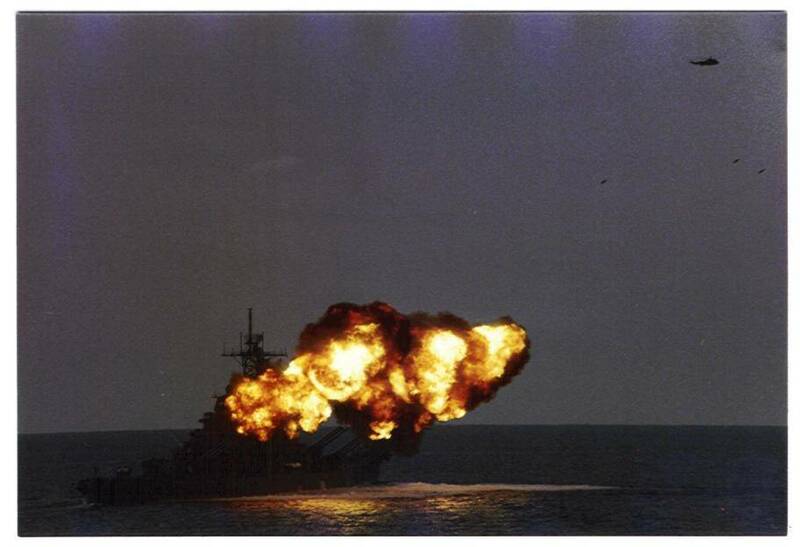 Explosion within Turret Two kills 47 crewmen off the coast of Puerto Rico. Ammunition loaded at Whisky Island Anchorage. Underway for Northern Europe and Mediterranean. 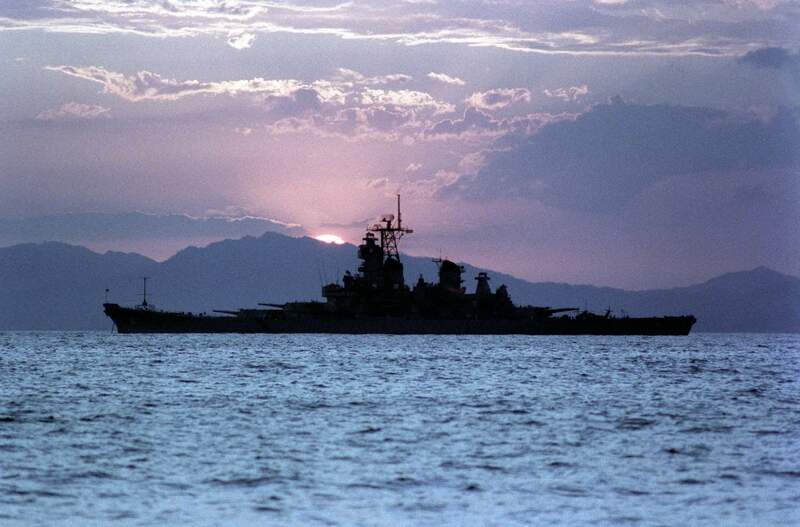 During this deployment, USS IOWA traveled 30,983 NM and crossed eight time zones. 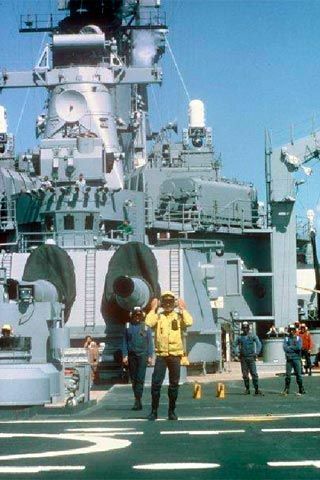 Port visits included: Kiel, West Germany; Portsmouth, England: Rota, Spain; Casablanca, Morocco; Gibraltar; Marseille, France; Antalya, Turkey; Gaeta, Italy; Istanbul, Turkey; Haifa, Israel; Alexandria, Egypt; Ajaccio, Corsica; Augusta Bay, Sicily; Naples, Italy and Palma, Mallorca. Restricted availability, Marseille, France. 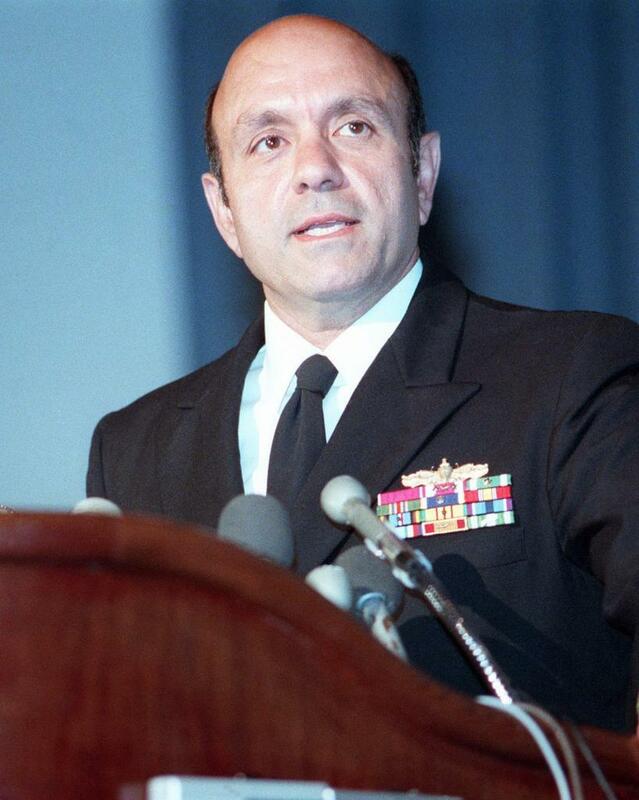 Cut short one week due to contingency operations in the Mediterranean, off the Lebanese coast. 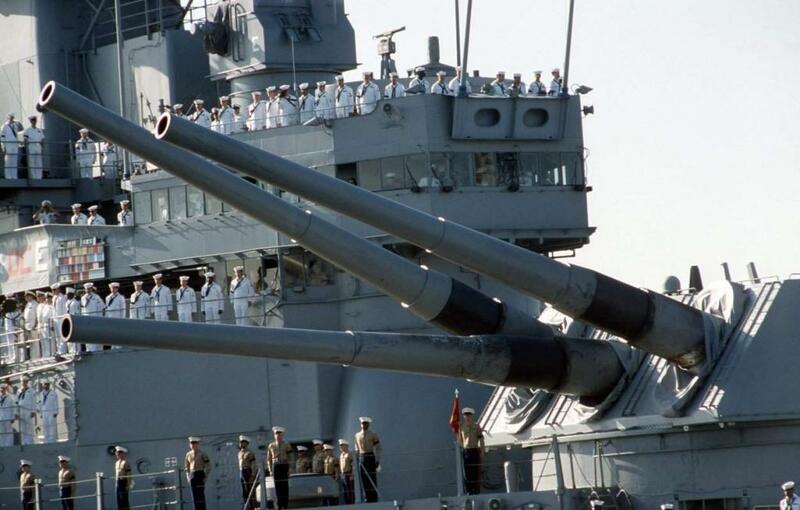 During this transit, last 16-inch round fired, giving USS IOWA a total of 2,873 rounds fired since 1984 recommissioning. 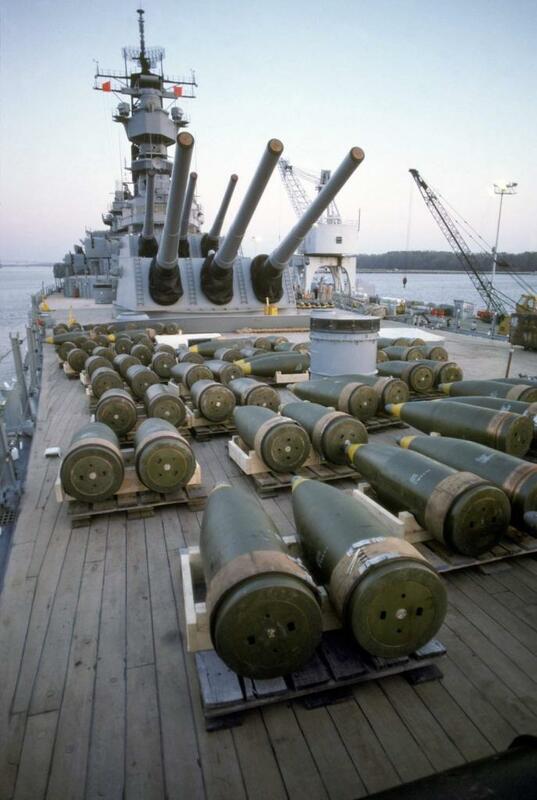 Since USS IOWA’s initial commissioning date in 1943, a total of 11,834 16-inch rounds fired.